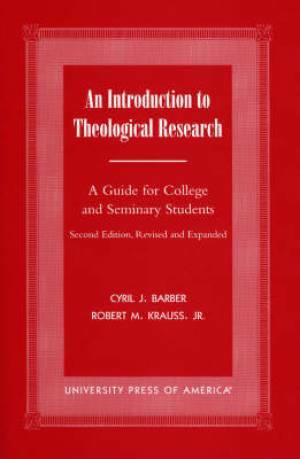 Introduction To Theological Research by Cyril J. Barber; Robert M. Krauss was published by University Press Of America in May 2000 and is our 50567th best seller. The ISBN for Introduction To Theological Research is 9780761816591. Be the first to review Introduction To Theological Research! Got a question? No problem! Just click here to ask us about Introduction To Theological Research.